promote the Library by stimulating a greater use and appreciation of the literary, educational, and cultural advantages the library offers throughout the community. Friends are people who know that a community with a first rate library is a better place to live. 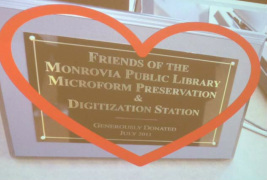 Friends bring together involved, caring people who are willing to work for excellent libraries. Friends work by focusing public attention on library needs and services, supporting educational and cultural programs, encouraging volunteer opportunities within the library, providing supplementary financial support, and accepting gifts and donations. Hundreds of wonderful books for all ages are now for sale at rock-bottom prices. Take time during the Monrovia Day celebration. As part of our annual membership meeting, you'll have an opportunity to browse everything available. Yes, if you're not a member, you can join that evening. Sunday from 4-5pm we'll have our $5 a Bag Sale. Yes, we'll provide bags. Organized in 1957 with either 56 or 57 members (the records differ). However don't you like the synergy of numbers. The organization incorporated in 1960. For a number of year, it was the only charity organization (501C 3) in town, accepting the Anderson House Museum as a Bicentennial project. 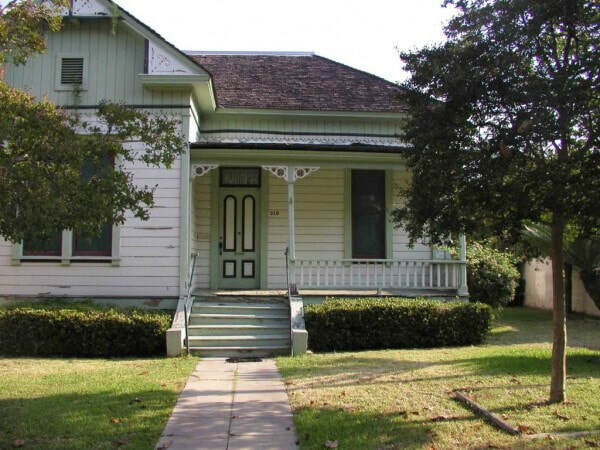 The home still stands as the only home in Monrovia built in the earliest years and lived in by a single family. Members recruited labor and materials to bring the house back to a respectable and quite lovely state opening the house to visitors. Later, as group of members formed the Monrovia Historical Society which still owns and shares the Anderson House with the public. Most visible through through biannual sales and the Friends Store at the MPL which opened in conjunction with the opening of the new library in 1997. 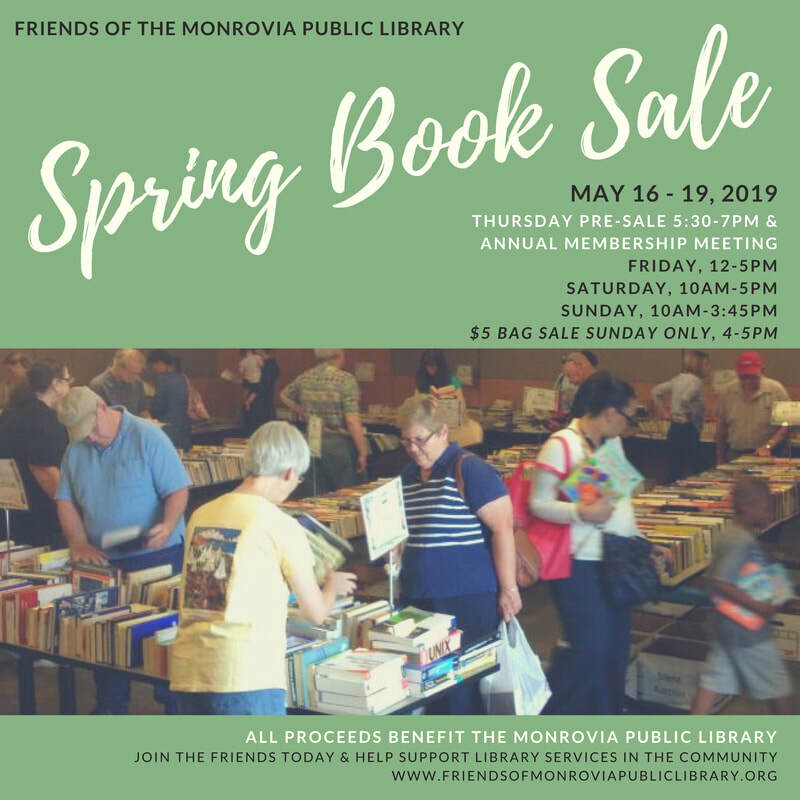 Friends' volunteers are busy staffing the store, sorting donations, helping out at Library events, and routing appropriate donations to schools and other charity organizations within the community. 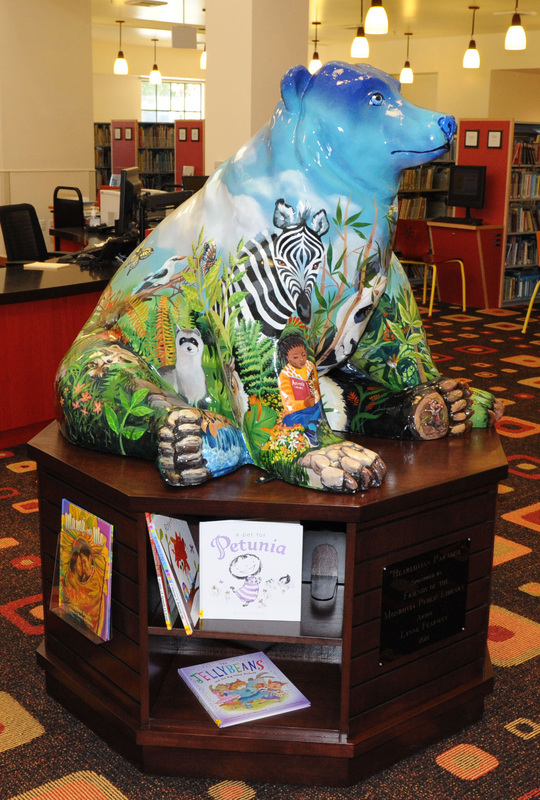 Kids love the library bear! They run into the Youth Services area and walk around spotting the details in the variety of people, creatures, and natural beauty found on Samson. The favorite? 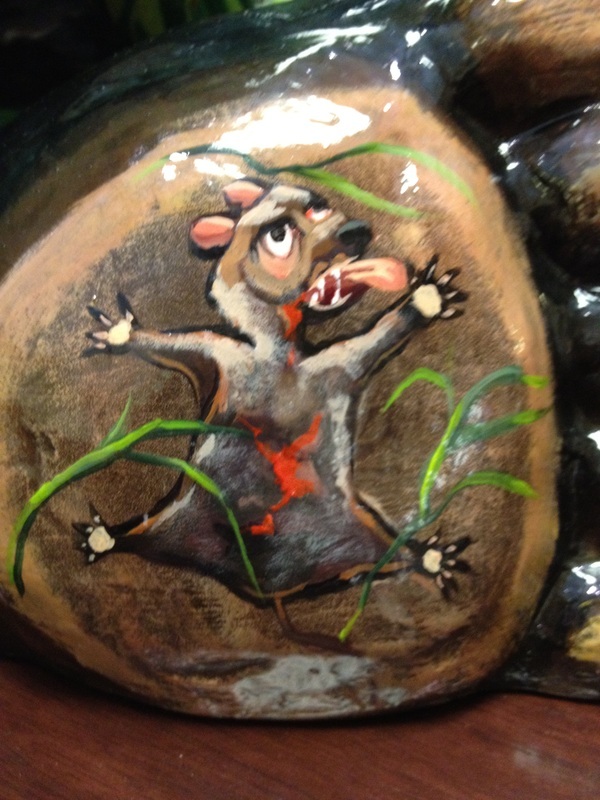 Of course, it's the squashed rat on his left foot. 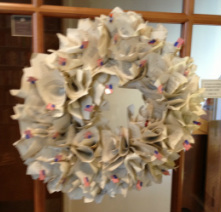 Local artist Lynn Fearman's work celebrates the imagination and wonder of children reading.